The perils of “too much tech” can be felt through every business that is dealing with the issue right now. Most marketing organizations use 6-10 different tools on a daily basis, and this presents a lot of issues. Email marketers are starting to think more holistically over the past couple of years. But how can you build a consolidated tech stack? Instead of choosing a tech vendor because the competition did, marketers choose the tech that best meets their unique needs. With email as the digital ID, consolidating your tech stack can yield many benefits. By consolidating your stack, you can create a single source of truth – a centralized repository of data from which more encompassing, personalized marketing campaigns can be created and executed. 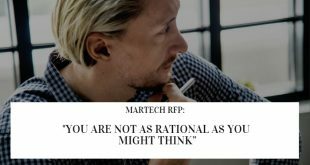 * MarTech bottlenecks that create an inability to run the campaigns you want or get the insights you need. It can be overlooked that even a simple app download introduces a higher level of risk. Many marketers haven’t realized that inflated MarTech stacks and Shadow IT pose serious security risks for cyber attacks and data breaches. Today I am going a step further than describing the risks and necessity of tech consolidation. Here is a proposed 3-step process that you can take to select a consolidated tech stack and how a consolidated MarTech environment should look. A first step if you want to consolidate existing tech is to form an internal alliance with your IT department. Facilitating this partnership with the internal technology experts is crucial. It’s time for marketers to face the music: it’s easy and tempting to bring in new technologies without going through any formal processes. But too often, this vicious cycle leads to more buying and breaking than betterment. 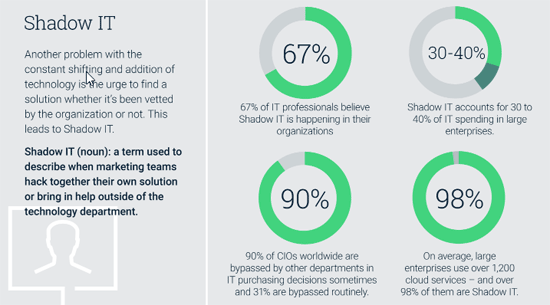 Intuitively, marketing teams know this – most aren’t tech implementation specialists or integration managers. They aren’t schooled in how to vet technology vendors or pick from a slew of potential solutions. Your IT team should lead the new-tech charge, and they’ll be able to lend a technical perspective on how well this new solution will jive with your existing systems, whether it’s safe, and if it will actually make your marketing team more efficient. After all, they are the experts on technology and truly should be leveraged as an ally in any digital transformation or implementation. That’s the first (often overlooked!) step. Next, you’ll want to look at what you actually want to achieve and how email can sit at the core. Marketing Technology is both the biggest enabler and biggest distraction facing marketing today. 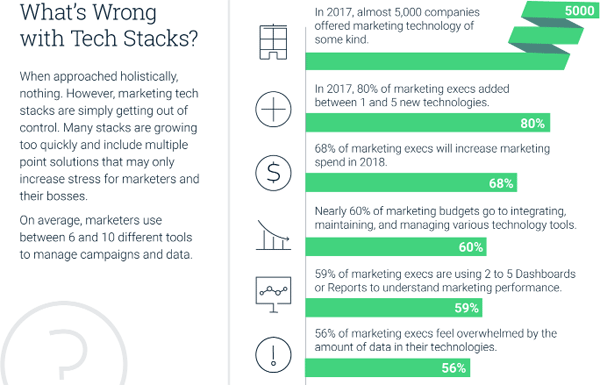 Managing MarTech remains a challenge, and maximizing marketing effectiveness is the elusive end goal everyone is striving toward. The secret to success is tech consolidation – and this will not be taught in school or shown in any new job orientation – as well as beginning with objectives, not the technology. The paradox is that the vast majority of software companies want you to start with their tech as the first step in your strategy. This underscores the focus on features and functionality we see in MarTech demos, on their websites, everywhere. This is a chief cause of confusion. Better email engagement and abandoned cart programs aren’t objectives. The first is a strategy, and the second is a tactic, two things you might use to achieve a larger objective like customer retention. To get back to a position where we can satisfy the multi-dimensional demands flying our way (and get back to strategy and creativity), we’ll need to counter this mainstream mode of thinking headfirst. This is all backwards… and goes against the foundations of Marketing ‘101’, but seem to have been forgotten in the face of mass digital distraction. In this new pattern of thinking, we’re suddenly free. We’re not trapped by what software can do, but empowered to find software that helps us get what we need to get done. Once we land on the solution to our goals, that particular software should actually tell us how to achieve our goals with strategies and tactics that have worked before. Choosing the right partner (and working with your IT team to do so) is the very last step in the process once your strategy and objectives are defined. This final step in consolidation of tech means actually doing. And doing requires an evaluation of everything you’re currently using, and making an educated determination about what you’re not going to continue on with – and ultimately choosing the right partner(s) who can help you achieve your goals. Here’s where the hard work of research will pay off. The biggest thing that you should look for is a system that starts with email at the center, and which can support multiple other channels as needed. Make sure your tech stack supports your automation and analytics, as well as all the channels you work within. CDP or customer data platforms are so hot, because they seem to be a possible answer to this challenge, but tackling it at the (MarTech) root seems a more logical thing to do. Omni-channel campaigns are a must in today’s digital world. Email is vital, but how does the system work to incorporate mobile (SMS and in-app messaging), website (personalized content widgets, overlays, etc. ), and social media (retargeting) and tie all these back to email? Make sure every channel you need can “communicate” with one another so everything you do works together to offer a connected customer experience in the end. Consolidation of marketing technology will help in every area – internally in the areas of efficiency, productivity, production, quality, and time management to external benchmarks like retention, personalization, order value, and revenue. The ultimate goal in consolidating all your disparate technology is to unify everything around email and therefore eliminate unnecessary redundancies, inefficiencies, and disparate systems. Consolidation of your tech stack is one of the most impactful activities you can begin looking at this year and beyond. Lindsay Tjepkema is Marketing Director, Americas at Emarsys and host of the Marketer + Machine podcast. 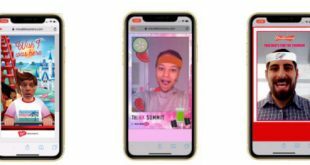 She and her team deliver resources that empower marketers to seek out solutions and strategies that will allow them to focus on what they love – strategy, content, and creative – not technology. Although her true love is tech marketing, Lindsay’s experience is built on time spent leading in-house teams, in agency settings, and independently running her own marketing consultancy.